Tiverton is a busy mid Devon market town situated north of Exeter on the A396. It is the largest town in Mid Devon, and the fourth largest in Devon. 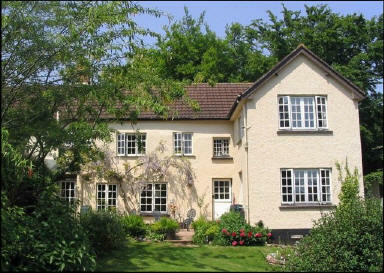 It is close to the North Devon Link Road which has good access to the M5. Tiverton Parkway Station is on the main railway line with frequent trains to Bristol, London, the Midlands and the North of England, as well as Exeter, Plymouth and Cornwall. Tiverton makes an ideal centre for anyone wishing to visit Dartmoor or Exmoor. The town centre has a wide variety of shops. The Pannier Market operates on a number of days and has recently introduced a weekly producers market. Standing on two rivers, the Lowman and the Exe, Tiverton once used this as a source of power for its woollen industry. Much of Tiverton now centres on the Heathcoat lace factory, which has been in operation since 1816. Tiverton has a Tourist Information Centre which promotes events and attractions in the area. During the summer the town prides itself on the floral displays which are part of its entry into the South West in Bloom competition. The Museum is in Beck’s Square and is well worth a visit, but do leave plenty of time because there is so much to see.